Buying a viola is an expensive endeavor so you want to make sure that you buy the right viola. 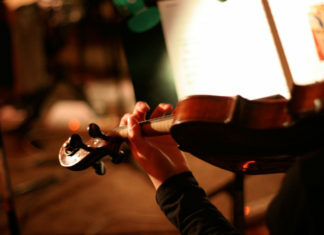 You will want a viola brand that is known for high-quality workmanship as well as superior sound quality. We evaluated a number of the violas on the market below. In order to evaluate viola brands, we looked at several key criteria including: affordability, upgrades required, quality of materials used, and attention to detail. One final note before we get to our recommended viola brands: The following violas are primarily sold online but you certainly go into a local music shop to try out individual violas. For buying violas online, Amazon offers a return policy, so that you have the safety net in case the viola breaks in transit. Below we’ve reviewed the best viola brands so that you know what to look for. 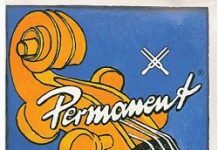 We’ll start with an overview of the best violas for beginners, intermediate players, and advanced players. 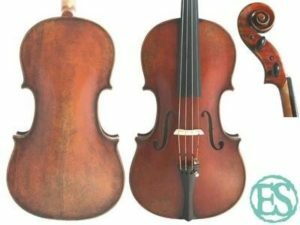 We’ll then list the remainder of our recommended viola brands below in the order that we recommend them. Use this list as a guideline for which viola brands to buy. 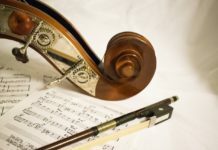 While not every viola brand on this list will fit your budget, experience level, or other search criteria, we hope it provides a great baseline to begin your search. Cecilio, one of the most well-known viola brands, makes great instruments for beginners. Their violas are high-quality at an affordable price. 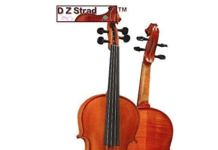 Consistently rated as some of the best mid-tier violas, D Z Strad violas are known for their quality sound. Even though this is a mid-tier viola, the violas come with everything you need to start playing. Eastman’s hand-crafted violas are known to be some of the best violas for advanced players since they combine beauty with sound quality. Often going for $1,500+, these violas should only be purchased by those who need a very high-quality instrument. 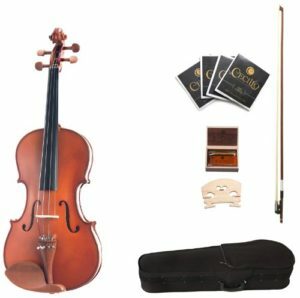 Cecilio is our favorite viola brand for beginners since it’s great quality for a great price at a fraction of the other big-name viola brands. Cecilio’s instruments are hand-made, including the CVA-400 priced at lower than $200, so you know you’re getting a quality instrument. Cecilio is now a well-known student viola brand whose violas are played around the world. Cecilio violas are made out of hand-carved solid tonewoods with spruce tops, flamed maple sides and back, and inlaid purfling. The chin rests are made of boxwood, traditionally a feature only available on higher-end models. The main shortcoming of Cecilio violas is that their fingerboards are made of maple instead of ebony. Ebony fingerboards are sturdier than maple since ebony is a hardwood which means ebony fingerboards can withstand the repeated pressure of fingers tapping on them. 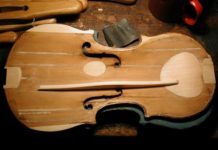 Of course, removing the ebony fingerboards makes for a lower-cost viola, but you may need to take your viola in for repairs more often. These viola outfits are also very generous. Most Cecilio outfits come with a quality brazilwood bow, boxwood pegs, chinrest, and tailpiece (with four fine tuners). Given the value you get for the price, the Cecilio viola brand gets our highest vote, but if you are an advanced player, we recommend buying a higher-end viola like the D Z Strad viola below. DZ Strad makes some of the best intermediate violas. Reviews on Amazon rave about the sound quality of these instruments so we had to give one a try. We were blown away! 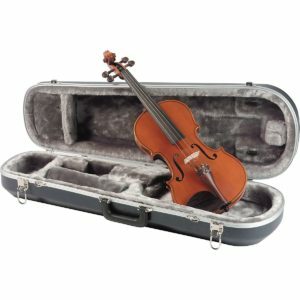 The Model 400 in particular is a great instrument for the intermediate viola student. 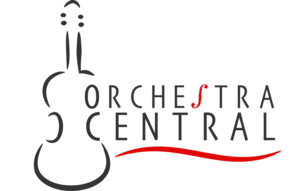 DZ Strad has workshops in Minnesota and New York. The DZ Strad violas themselves are made from Italian tonewoods that have been dried for 20 years. The wood is then placed into a drying room, consistent with old world traditional European practices to ensures that the wood will not open or expand, and guarantees stability. 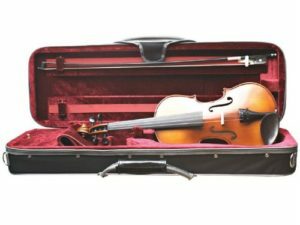 The DZ Strad violas come with the viola, two bows, and a viola case. The two bows are a carbon fiber viola bow and D Z Strad Pernambuco Viola Bow so that you have options for playing with different bows. 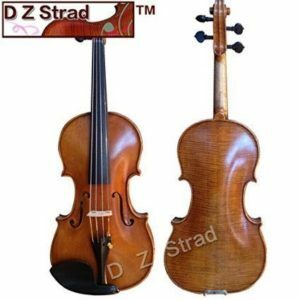 For a high-quality viola that costs between $1K-1.5K, there is a ton of value in the DZ Strad packages. While Eastman Strings makes beginner violas, they are well-known for making advanced violins and violas that sound beautiful which is why we highly recommend them for the advanced player. 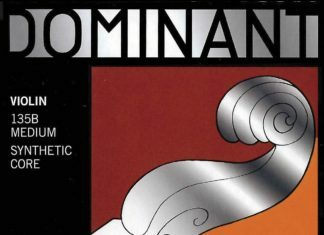 Strings Magazine often recommends Eastman VA305 violas for advanced players due to their playability and tone. The violas are handcrafted from one-piece, flamed maple back with boxwood-and-ebony fittings. Eastman outfits on Amazon usually only include the instrument, no bow or case. As Eastman’s violas are built for advanced players, the bow choice is often up to the player. 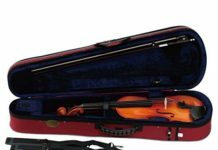 Extremely cost-effective, Stentor has become well known for being one of the highest-quality viola brands. In fact, Stentor is our favorite violin brand. Numerous guardians depend on this notable brand to get their youngsters to a transitional level viola. 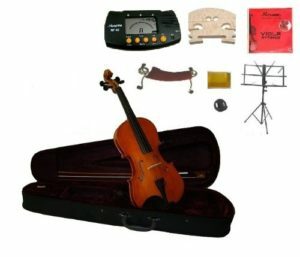 Stentor makes the instruments in Chinese workshops yet checks each viola for quality in its United Kingdom office before conveyance to your home or store. With a wide assortment of violas available to be purchased, from total novice to intermediate, Stentor probably has a viola for you. Like other instruments on this list, Stentor violas are made out of strong tone woods. The violas come with an ebony fingerboard (instead of the Cecilio above), pegs, and fittings with maple sides and back, and a spruce best. Stentor violas additionally have trimmed purfling to keep the milder spruce wood top from splitting. You can get Stentor bundles on Amazon with a cushioned rectangle case, wood and horsehair bow (normally brazilwood), and rosin. For a beginner outfit, Cremona violas are great quality for a decent price tag. Made out of select tone woods, such as hand-carved maple, spruce, and ebony, these violas stand up well on their own, but can be made significantly better with small improvements. Out-of-the-box, Cremona violas come with Prelude strings which are okay, but swapping them out for a higher-quality viola string brand can make a world of difference. Cremona violas are built to MENC standards (National Standards for Music Education as prescribed by the Music Educators National Conference in 1994) in their Cremona workshop in the state of California. The MENC standard ensures that they are playable when they arrive, and can be easily integrated into your child’s school orchestra or ensemble. It’s no wonder that students and teachers alike favor Cremona over other student viola outfits. Each outfit comes with a high-quality J. LaSalle Brazilwood bow, a popular TL-33 case, Prelude strings by D’Addario, A. Breton VP-61 alloy tailpiece with 4 built-in tuners for easy tuning, along with a Kaufman chinrest, and rosin. Yamaha is a well known in the musical world for producing top-quality instruments at an affordable price. Their piano and violin family instruments are just as high-quality. While more expensive than many of the models featured in the above list, Yamaha violas are hand made in Chinese workshops out of the highest quality woods for this price range. For this reason, Yamaha rounds out our list as one of the top brands of violas. 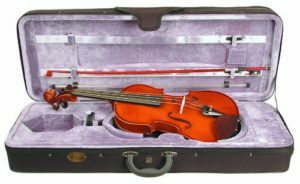 The Yamaha student viola outfits come in assorted sizes, and includes a case, Brazilwood bow, and rosin. Thhey are hand made out of solid spruce, maple, and ebony and fitted with a Wittner tailpiece with four fine tuners for easy tuning. Yamaha violas also come with quality D’Addario Prelude strings, though upgrading your strings to Dominants or Evah Pirazzis can drastically improve the tone of your instrument. Primavera violas are a very affordable intermediate viola brand. 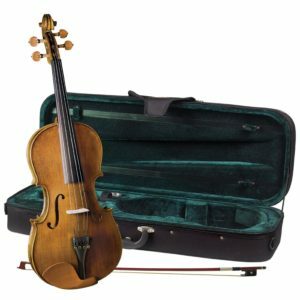 Slightly more expensive than many of the beginner brands ($250-$350), Primavera violas are made out of high quality solid tonewoods, including hand carved maple and spruce with inlaid purfling. The fingerboard and pegs are made out of carved ebony, as well as the fittings. 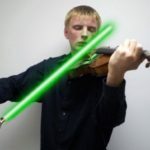 In addition, the Primavera intermediate viola outfit comes with a “student proof” (ie. very strong) composite bow with an ebony frog and Mongolian horsehair. Primavera has made several decisions to cut costs while improving the musical experience. For example, they use a metal alloy tailpiece with four fine tuners, instead of a solid wood tailpiece. They also use a Styrofoam shaped case instead of a standard “pillowy” case. 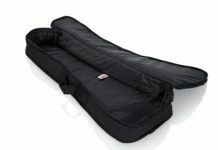 While slightly lower in quality, this case still performs well, and will protect your viola from the elements and drops. Primavera beginner viola outfits come in many sizes, so you can find the proper fit for you or your child. Most also come with a hardwood bow. While lower quality than many of the viola brands on this list, Merano definitely deliver on affordability. Many of their violas are just over $100 which makes them especially good for absolute beginners who may not continue playing after their first year. While they won’t garner a high resale value, they will certainly meet the requirements of a novice and your budget. Like Cecilio listed above, Merano viola fingerboards are made out of hardwood instead of ebony, meaning you will most certainly have to upgrade to a better model or have the fingerboard repaired frequently. If you can’t afford a higher quality model at this moment, the Merano viola makes a good starting instrument. 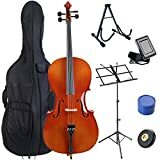 Outfits on Amazon include a ton of extras including an extra set of strings, an extra bridge, a shoulder rest, rosin, case, music stand, and electronic tuner. Buying a Merano viola outfit is one way to be up and playing in no time. While most of the viola outfits above come with everything you need to get started, some of the packages don’t come with everything you need. Violas need the following basic accessories such as rosin, a bow, a case, etc.